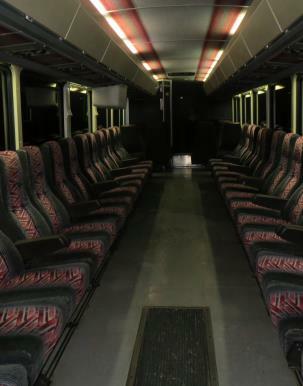 We are so excited to offer this rennovated coach to you. The picture on the right shows the interior with the seats turned, so they line the windows, making it easy to move about and visit. 1-877-250-8857 to inquire and make reservations! Audio connector to play your music from an Ipod, MP3 player, etc.